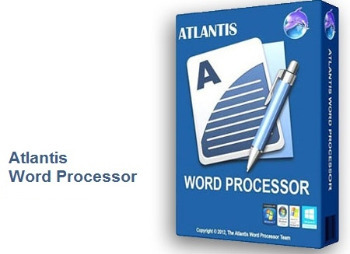 Atlantis Word Processor has all the features you need to create simple documents or great works of literature: novels, essays, reports, letters, diaries, newspaper articles, etc.Compose rich-formatted documents from scratch, or edit existing MS Word documents, and send them to colleagues, customers, partners, friends.Make eBooks for a living, or just create eBooks to read on your iPad or another eBook reader. Turn any document into an eBook with just a few mouse clicks! More than 20 fields are supported. The corresponding items are quickly inserted and automatically updated by Atlantis. Fields make document and template creation very flexible. What’s more, we have made sure that fields are not restricted to advanced users: using fields in Atlantis is child’s play! The Format Palette is only one of the instruments present on the Atlantis Control Board. The Atlantis Control Board brings together all the tools and commands that are required to create both simple and complex documents with the greatest of ease. Each panel of the Atlantis Control Board is dedicated to one specific characteristic of the active document. You have separate overviews of the document Headings, Bookmarks, Sections, Styles, or Lists, with all the related commands directly available from each specific panel of the Control Board. Tools and commands to manage Headings are on hand on the “Headings” panel, tools and commands to manage Bookmarks are on hand on the “Bookmarks” panel. Etc. This gives you unequaled power and flexibility. The AutoCorrect feature of Atlantis has fully customizable multilingual options, and will dramatically simplify your word processing life. It combines flexibility with power for unparalleled control over the typing and formatting of documents. Some of the Atlantis AutoCorrect functions are still unheard-of in today’s top-end word processors. Texts are proofread in the background “As-You-Type”, or, optionally, when typing is complete. A multilingual spellchecker will help you create documents with perfect language. Spelling is checked “As-You-Type”, or, again, optionally, when typing is complete. Original Atlantis Spellcheckers are available for 16 languages or dialects. And of course, you can create and augment as many custom dictionaries as you wish. Power Type is a typing assist adding unique functionality to Atlantis. Working in close cooperation with our proprietary spellchecker engine, Power Type collects statistical information about the texts that you type, creating a smart database of the words that you use most, and also of their usual environment. When you start typing the same words again, Atlantis gives a warning sound, pops a small window up, and displays a list of words beginning with the same characters. But this is not all. The Atlantis Power Type has learning abilities. As time goes by, the Power Type database gets smarter, and you will notice that the typing suggestions are more and more appropriate. Of course, the Atlantis Power Type is invaluable for people with disabilities. But also for slow “one-finger” typists. The Overused Words feature will help creative writers avoid repetitions and clichés if they want their texts to be read with any interest or pleasure. The Overused Words feature will show detailed statistics about repetitions and word frequency. This will tell you where words need to be replaced with synonyms, or whole paragraphs reworked. All documents created in Atlantis can be “Saved As Web Page”, i.e. saved as HTML. This will help owners of personal Web sites, and also e-book creators tremendously. Atlantis also has a command to convert any document to an eBook with just a few mouse clicks. Headers and footers are fully supported. And so are footnotes and endnotes. You can insert footnotes and/or endnotes, choosing from a wide range of different reference marks. What’s more, and quite uncommonly, you can configure footnotes and endnotes differently from one document section to the other. Use tables in your documents to present text information and numerical data.